Viljandi Folk Music Festival is the main event of the summer for many Estonians. There’s singing, dancing, laughing, and loads of ice cream. 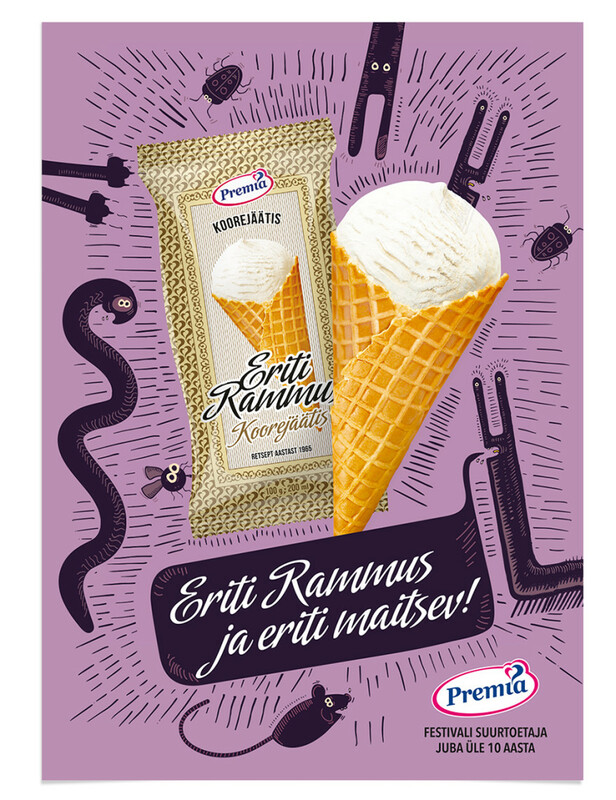 Premia took good care of the latter and wanted to remind us of it with a print ad matching the style of the folk festival.